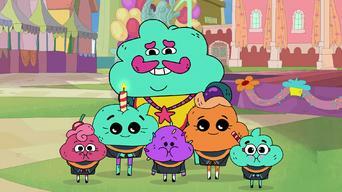 How to watch Cupcake & Dino - General Services: Season 1 (2018) on Netflix USA! 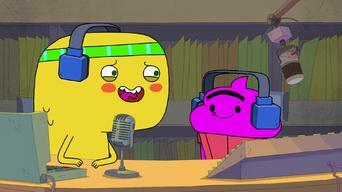 Yes, Cupcake & Dino - General Services: Season 1 is now available on American Netflix. It arrived for online streaming on July 27, 2018. 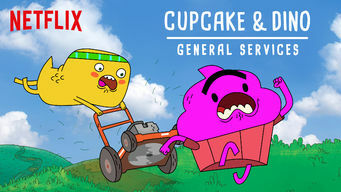 We'll keep checking Netflix USA for Cupcake & Dino - General Services: Season 1, and this page will be updated with any changes. 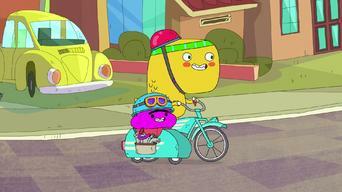 An enterprising cupcake and his cheerful dinosaur brother take on jobs of all sorts as they work to help friends and strangers in their eccentric city. No task is too tough (or too weird) for this unstoppable duo, who go after their dreams -- one odd job at a time. 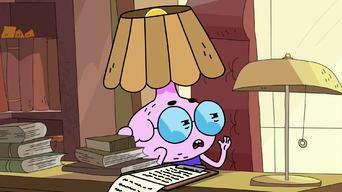 Season 1 of Cupcake & Dino - General Services has 13 episodes. Because different Netflix countries have different availability for episodes, you'll need to check the episode listing below to see which are available in the USA. Cupcake and Dino think they'd get more jobs if they were a little more manly. Dino attempts to explain friendship to a talking robot house. Cup and Dino are on the case after an important statue goes missing. Dino loses his mojo when his headband falls down a sinkhole. Grandma Steak needs a partner for a wacky card game tournament. 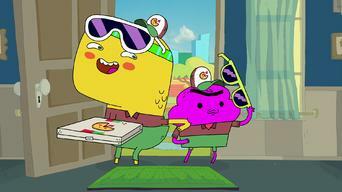 Cupcake and Dino try to save the local pizza joint by becoming awesome delivery guys. Uncle Chance asks the boys to spruce up the family float for a big parade. Cupcake and Dino accidentally put a mythical bird in danger. A sick Cupcake gets jealous when Dino befriends a half-cat, half-unicorn. The boys anger Uncle Chance when they take a job with his archnemesis. When Vicky needs coaching to become a rock star, guess who wants to help? 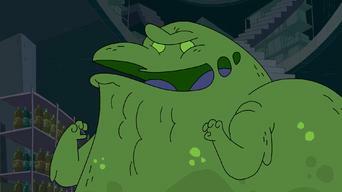 Cupcake offers a stern warning to Big City’s most notorious book thief. Cupcake is convinced that everyone's trying to surprise him for his birthday. The boys care for a cute caterpillar that becomes a bratty butterfly. C and D face ridiculous consequences while doing store inventory. 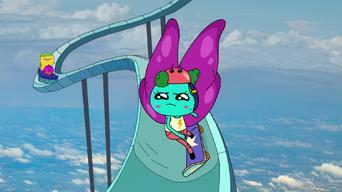 Cupcake neglects his general services when he becomes a snooty artist named Cupsy. Cupcake experiences the joys of being really big ... but finds it has some really big drawbacks. The guys get a job delivering weird newspapers. The boys make waves as early morning DJs on the local radio station. The internet goes down in Big City, and Dino is freaking out. Cup and Dino try to use robots to beat Peetree in a dance competition. The boys babysit a shy girl and help her open a lemonade stand. The guys try to make their favorite action star's boring life more exciting. Chance leaves Hugo in charge of the store, but C and D get in the way. 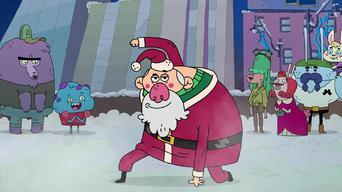 Thanks to a calendar error, Big City almost misses Christmas. Cup and Dino have to box up toothpicks … after they build a little snow fort.